Are you having trouble with your PC? Is your laptop acting up? The professional team at Insis d.o.o. 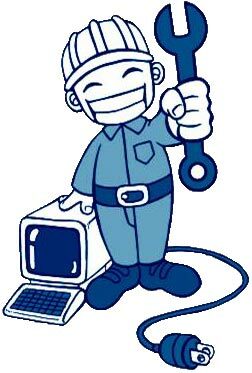 will perform a service of your laptop, computer and other computer equipment. making a backup copy of data at the computer service and retrieving data from faulty hard drives. You can check the services pricelist on this link. Wondering how to go without the computer while it’s in repair? While your device is in repair, we provide computer or laptop rentals. At regular rental prices you are eligible to a 50% discount and you pay a maximum of 7 days, even if the service lasts longer. Visit our computer service centre in Nova Gorica. You can get more information with the map and the exact location of the service at the contact page. from Monday to Friday, 8:00–12:00 and 13:00–17:00.